Aesteiron Steels is one of the leading manufacturers, suppliers and exporters of Stainless Steel Products. Aesteiron is 304 Stainless Steel Manufacturers & Suppliers. 304 Stainless Steel is the most versatile & widely used stainless steel. It is available in wide range of products, finishes & forms. 304 Stainless Steel Features are excellent forming, welding characteristics, excellent toughness etc. Aesteiron Steels is a well know Stainless Steel 202 Manufacturers & Suppliers. Stainless Steel 202 is available in various sizes & specifications. It is been manufactured by using high quality raw materials. It possesses good corrosion resistance, toughness, high hardness & strength. Application Surgical Equipments, Needle Valves, Shear Blades & Cutlery. 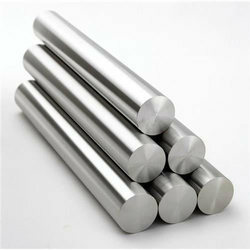 Aesteiron Steels is Stainless Steel 420 Manufacturers & Suppliers. Stainless Steel 420 is a high carbon steel with a minimum chromium content of 12%. SS 420 has a scaling resistance at temperature of upto 650°C. However temperature above standard tempering temperature are not suitable for this grade. It can be easily machined in its annealed state, but it is difficult to machine having a hardness greater than 30HRC. Surgical Equipments, Needle Valves, Shear Blades & Cutlery. Application Heat Exchangers, Food Processing Equipment, Radiant Tubes, Furnace parts, Saggers etc. Aesteiron Steels is Stainless Steel 310 Manufacturers & Suppliers. Stainless Steel 310 is an austenitic heat resistant alloy with excellent resistance to oxidation under mildy cyclic conditions through 2000°F. It has high chromium & nickel content provides comparable corrosion resistance, superior resistance to oxidation & the retention of a larger fraction of room temperature strength than the common austenitic alloys. Heat Exchangers, Food Processing Equipment, Radiant Tubes, Furnace parts, Saggers etc. Aesteiron Steels is Stainless Steel 304 Manufacturers & Suppliers. It is the most versatile & most widely used stainless steel. It is available in wider range of products, forms & finishes than any other stainless steel. It possesses excellent froming & welding characteristics. Food Processing Equipments, Threaded Fasteners, Architectural Equipments, Heat Exchangers etc. Aesteiron Steels is Stainless Steel 409 Manufacturers & Suppliers. Grade 409 Stainless Steel is a stabilized ferritic stainless steel that provides improved oxidation & corrosion resistance compared to carbon steel. It has significantly broadened its utilization in automotive exhaust & other non automotive applications because of its ease of fabrication combined with its corrosion resistance & economy. It is useful for automotive eahaust systems applications such as manifolds exhaust pipes, catalytic converters, tail pipes & other components. Non automotive axhaust applications are fuel filters, automotive thermostats, home heating systems, electrical transformer cases etc. 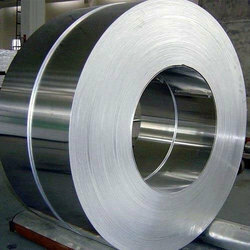 Aesteiron Steels is Stainless Steel 321 Coil Manufacturers & Suppliers. 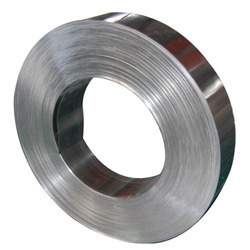 Stainless Steel 321 Coil is the part of austenitic stainless steel. It contains a titanium addition of at leat five times the carbon content. This addition is made to reduce or eliminate chromium carbide precipitation resulting from welding or exposure to high temperatures. It provides high strength, good corrosion resistance & toughness in both base metals & welds gives manufacturer opportunity to add reliability to their products while simplifying fabrication & often reducing costs. It has good resistance to stress corrosion cracking in the lower strength conditions. Application Petroleum Refining & Processing,Ore Processing,Thermal Processing,Gate Valves,Press Plates etc. Aesteiron Steels is Stainless Steel 410S Manufacturers & Suppliers. 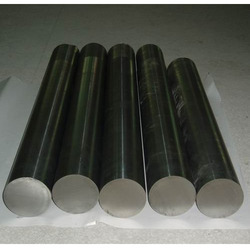 Stainless Steel 410S is a low carbon, non hardening modification of Alloy 410 the general purpose 12% chromium martensitic stainless steel. It remains soft & ductile even when rapidly cooled from above the critical temperature. This non hardening characteristics helps to prevent cracking when the alloy is exposed to high temperature or welded. It is completely ferritic in the annealed condition. It exhibits adequate corrosion resistance similar to Stainless Steel 410 & good oxidation resistance. Petroleum Refining & Processing, Ore Processing, Thermal Processing, Gate Valves, Press Plates etc. Heat Exchangers, Pharmaceutical Industries, Condenser Tubes, Cooling Equipment for Seawater, Oil & gas Industry etc. 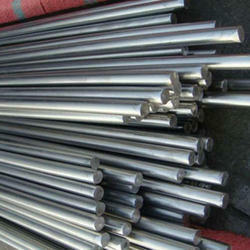 Aesteiron Steels is Stainless Steel 347H Manufacturers & Suppliers. 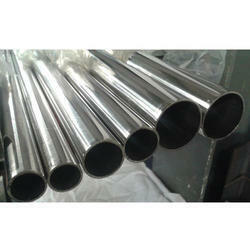 Stainless Steel 347H is a higher carbon version of the alloy. It is develope for enhanced creep resistance & for higher strength at temperature above 1000°F. Stainless Steel 347H Features are Good oxidation resistance, higher carbon allows for better high temperature creep properties, resistance & corrosion protection. 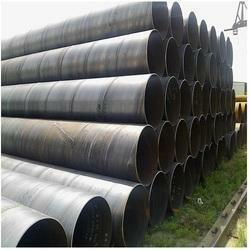 Oil & gas refinery piping, Heat exchanger tubes, Heavy wall welded equipment, Radiant superheaters. Aesteiron Steels is Stainless Steel 201 Manufacturers & Suppliers. 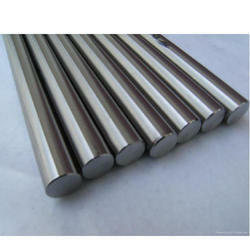 Stainless Steel 201 is an austenitic chromium nickel manganese stainless steel which is developed to conserve nickel. It is essentially non magnetic in the annealed condition & become magnetic when cold worked. It is useful for manufacturing cookware, hose clamp, piston rings, transit car roofing, air bag containers, door frames & thermal window spacers. 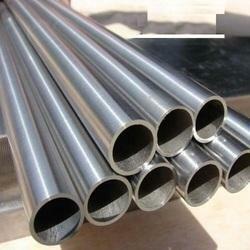 Aesteiron Steels is Stainless Steel 304 Tube Manufacturers & Suppliers. 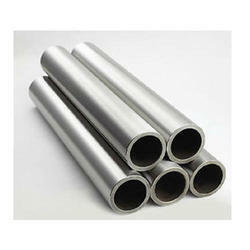 Stainless Steel 304 Tube is used for both structural & pressure applications & it is a cost effective tube. 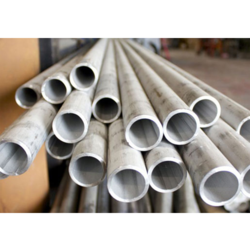 Stainless Steel 304 Seamless Tube is used for pressure applications & Stainless Steel 304 Welded Tube for structural applications. 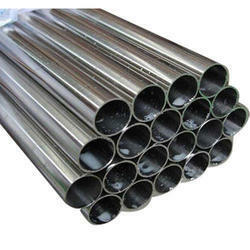 Stainless Steel 304 Tube Features are high workability, high corrosion strength, high temperature resistance, high strength etc. Applications Paper & Paper Industry, Heat Ex changers, Chemical Equipment, Pharmaceutical Equipment etc. 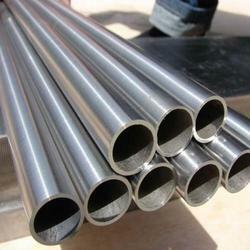 Aesteiron Steels is one of the known Stainless Steel 904L Tubes Manufacturers & Suppliers. It is been designed as per international standard quality of raw materials. 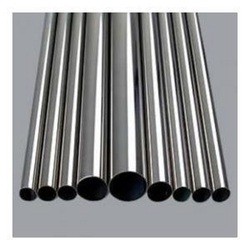 It is a low carbon high alloy austenitic stainless steel which is widely used in application where the corrosion properties are not adequate. It is useful in industries such as Paper & Paper Industry, Heat Exchangers, Chemical Equipments, Pharmaceutical Equipments etc. Aesteiron Steels is manufacturers of Stainless Bolt. It is available in a variety of grades, materials & finishes. It is used in industries such as Oil Refineries, Chemical Manufacturing, Industrial Construction, Mining etc. ASTM A193 Type 304 Stainless Steel Bolt, ASTM A193 Type 304L Stainless Steel Bolt, ASTM A193 Type 309 Stainless Steel Bolt, ASTM A193 Type 310 Stainless Steel Bolt, ASTM A193 Type 310S Stainless Steel Bolt, ASTM A193 Type 316 Stainless Steel Bolt, ASTM A193 Type 316L Stainless Steel Bolt, ASTM A193 Type 317 Stainless Steel Bolt, ASTM A193 Type 317L Stainless Steel Bolt, ASTM A193 Type 321 Stainless Steel Bolt, ASTM A193 Type 321H Stainless Steel Bolt, ASTM A193 Type 409 Stainless Steel Bolt, ASTM A193 Type 410 Stainless Steel Bolt, ASTM A193 Type 430 Stainless Steel Bolt, ASTM A193 Type 446 Stainless Steel Bolt. 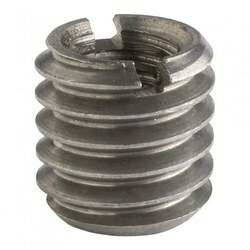 Aesteiron is the most trusted name amongst the top most Stainless Steel Threaded Inserts Suppliers. Stainless Steel 202 Threaded Inserts, Stainless Steel 304 Threaded Inserts, Stainless Steel 304H Threaded Inserts, Stainless Steel 304L Threaded Inserts, Stainless Steel 304LN Threaded Inserts, Stainless Steel 309 Threaded Inserts, Stainless Steel 310 Threaded Inserts, Stainless Steel 316 Threaded Inserts, Stainless Steel 316H Threaded Inserts, Stainless Steel 316L Threaded Inserts, Stainless Steel 316LN Threaded Inserts, Stainless Steel 316Ti Threaded Inserts, Stainless Steel 317L Threaded Inserts, Stainless Steel 321 Threaded Inserts, Stainless Steel 347 Threaded Inserts, Stainless Steel 409 Threaded Inserts, Stainless Steel 410 Threaded Inserts, Stainless Steel 420 Threaded Inserts, Stainless Steel 430 Threaded Inserts, Stainless Steel 446 Threaded Inserts. Aesteiron Steels offers a comprehensive range of Stainless Steel Strip. We can provide it on any sizes, grades & specifications according to the needs & staisfaction of the customers. It is useful for industries such as Automotive, Petrochemical, Electronic & Pharmaceutical etc. 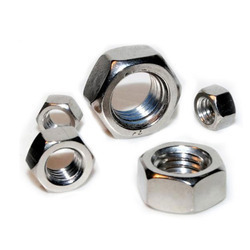 Aesteiron Steels Pvt Ltd, is Stainless Steel Nut Suppliers. It is available in various shapes, grades, types. 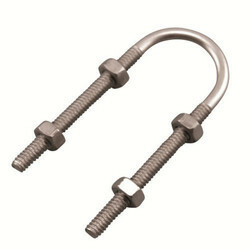 Stainless Steel Nuts are used in conjuction with bolts or screws. Mainly hexagonal in shape the basic purpose of these is to enable the fasteners to get stretched into an elastic state as it is tightened which thus has the effect of keeping the associated joint tight providing the correct amount of torque is applied as recommended by an engineer. The hexagonal shape is preferred as socket type spanners can be used with ease as well as the normal open ended. SS 304, SS 304H, SS 304L, SS 304N, SS 304LN, SS 304Cb, SS 309S, SS 310Cb, SS 316, SS 316H, SS 316L, SS 316N, SS 316LN, SS 317, SS 317L, SS 321, SS 321H, SS 347, SS 347H, SS 348, SS 348H. ASTM A519 Gr 4135 is a low alloy steel containing chromium & molybdenum as strengtheners. The alloy is capable of being heat treated to good strength levels while maintaining resonable toughness. Aesteiron Steels is Stainless Steel 316 Manufacturers & Suppliers. 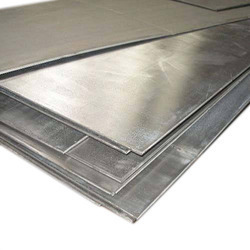 It is available in many forms such as Stainless Steel 316 Sheets, Stainless Steel 316 Plates, Stainless Steel 316 Tubes, Stainless Steel 316 Bars etc. And this is been manufactured by using high quality raw materials. Stainless Steel 316 is a molybdenum bearing grade. It gives better overall corrosion resistant properties than Stainless Steel 304, particularly higher resistance to pitting & crevice corrosion in chloride environments. It also provide excellent forming & welding characteristic. It has excellent forming & welding characteristics. 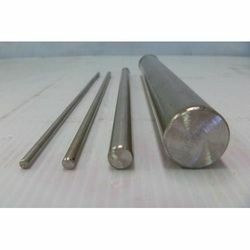 We are one of the leading trader and supplier of Stainless Steel U Bolts.